The website HEROweb created for us exceeded our expectations. The platform is easy to use so we can add pictures as needed. Michael and Zoe worked very hard with us to create our site in a timely manner. We would highly recommend them to anyone looking to create a one of a kind site! Great customer service. Easy to work with. Love the website they made for me: functional and attractive. MightyMerchant customer service, quality and personal attention cannot be compared! Would definitely recommend them! We wanted to update our two websites to where we would be able to have an e-commerce site for both wholesale and retail. Allowing us to make changes one time that would update each site accordingly. I researched several different programs for about a month and decided to give MightyMerchant a call. Spoke with Michael and discussed my wants and needs with him. He got right on it and got me a bid and the ball was rolling. Michael, Kathy and Staci were so easy to work with and understand what we were wanting on our websites. They designed the websites to look similar to the ones I already had so that returning customers would know it was us! They continue to give us the personal support they gave from the beginning. Technical support response time is also what you would expect from a family owned company. A decision we would make again and would highly recommend them to anyone! I couldn't say enough good about the experience I had creating my two websites with HEROweb. Everybody that I worked with really listened to what I wanted, came up with great ideas that were very fitting and were incredibly responsive to all of my requests. Even after the websites went live - if I had any issues, they were on it immediately! I would recommend this company to anyone looking to build a website and will definitely use them any time I have any other needs for this kind of work. I had an amazing experience working with MightyMerchant. From day one they were extremely supportive and helpful not letting any of my questions go unanswered. It is my pleasure to recommend them... as I do often! Great Knowledgeable Staff To Work With! HEROweb/MightyMerchant were very helpful getting our new website up and running. Kathy Smith stayed in close contact with us and made sure that we were well informed throughout the process. Every time we had a request or questions, she was always quick to reply and had great suggestions on how to make our site a success. They are a great company to work with that exceeded our expectations. I had been with HEROweb for many years until I decided to build a new site and hesitatingly decided to have someone else build it on a word press platform. BIG MISTAKE!!! After one year on my new word press site and never getting it to function as promised, I had had enough and contacted Michael at HEROweb who helped me build the site I was hoping for. Now that I have my new, new site, I am again up and running and this time with the website I was hoping for and no stress as it relates to everyday technical operations as I know that HEROweb has my back. What a relief! Thanks Michael and staff for making my return an easy process. I've worked with MightyMerchant to build 4 websites and have always had an amazing experience. The ease, speed and responsiveness of staff consistently exceeds my expectations. Equally satisfying is the final outcome and way you're able to help me generate business and reflect my brand through my website. They did an outstanding job. They were flexible with our schedule and willing to make changes as we needed. They did excellent work. Susan Buell, President, Umpqua Training & Employment, Inc.
Zoe and the team absolutely smashed it when it came to re-developing our website. They have perfectly combined aesthetics with ease of use whilst incorporating every function we needed. Sales on our site have gone up by 60% in a couple of months. Communication throughout the re-build was exceptional and our every wish was fulfilled. Thanks heaps for all the hard work. Have been working with HEROweb for quite some time now. There isn't a question I have ever asked which hasn't been returned promptly, and with enough detail that an illiterate-computer-person like myself can understand. Thank you Kathy and Michael. A truly amazing team to work with! I've had the pleasure of working with HEROweb for over a year and a half. We have been so appreciative of the way they address every question and are always willing to find a solution. We are so pleased with our recent site update and would recommend them to anyone looking to create a custom site. Zoe was primarily interested in getting my new website right, rather than just getting it done. That was priceless. Additionally, the entire HEROweb staff communicates well, and their workflow is impressively organized. I recently worked with HEROWeb to create a new website for Essex General Construction. I am extremely pleased with both the process and the results. They've been incredibly easy to work with and very responsive to our needs. Great team! I recommend them without hesitation. We shopped for months...arguably our best business decision to date. Based near Atlanta, GA we never imagined our web site would be hosted out of Oregon, but we discovered that is where the best and friendliest design team in the country resides. We shopped for months looking for an organization fully capable of helping with the design, layout and hosting needs of our site. We placed an extraordinarily high value on quality customer service which had to be responsive and friendly. These values were simply not negotiable and immediately weeded out many of the design/hosting firms we contacted. We found MightyMerchant to be different. From a unique down home family-style atmosphere to state-of-the-art technology coupled with incredibly talented designers and technicians, MightyMerchant was the perfect fit for our organization. Finding them was hard. Selecting them was easy. Being completely overjoyed by the level of service and support was completely effortless. Selecting MightyMerchant is clearly a choice we would make again without hesitation. Arguably our best business decision to date. Once I decided to end my pottery business and go full-time into Jewelery, I needed to redesign my website and the obvious choice was MightyMerchant. All of my interactions with this company have been outstanding over the years and they seem to understand immediately what I am looking for in terms of design and service.This recent team has done an absolutely fabulous job for me and my site is spectacular! I tell everyone to check out Mighty Merchant for themselves as I believe there is no-one better out there. Thanks, all of you, once again. We love that we can update it ourselves, but still have the help we need. MightyMerchant provided us with quick and personal service which met all our needs. We are so happy with our finished product, it was exactly what we were looking for. We love the idea that we can update it ourselves, but still have the help we need. You were all wonderful to work with. Mighty Merchant made a task that we were dreading a very bearable, interesting and rewarding experience. If anything, we slowed down the process with too many distractions on our end. You really kept us on task and made a huge effort to keep the process timely. You were all wonderful to work with. Thank you. ...MightyMerchant makes self-management of my site a breeze. 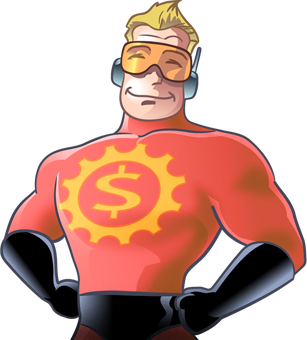 I was referred to MightyMerchant when it was time for me to inject new energy into my existing website. It turned out to be a terrific move for me. Being an artist, my website is my online portfolio to the world, and MightyMerchant did a magnificent job at taking my website, reproducing the look I was after, and bumping up the functionality a substantial notch. The MightyMerchant makes self-management of my site a breeze. This was all done at a savings over my previous site fees, allowing me to use the difference to make additional improvements to the site down the road. From contract setting to design implementation, problem solving and launch, each aspect of the process was a pleasure - all done with professionalism, expertise, good-natured ease, timeliness, and swift, open and clear communication throughout. I can't say enough good things about MightyMerchant. ...terrific results and positively stellar customer service. We found MightyMerchant after years of frustration, exorbitant fees and inadequate service from another website designer/host. Kathy and Jeanie consulted with us as to our needs for our new website, and the results have surpassed our expectations--affordably. Our product line is vast and constantly changing, and we needed a responsive program that would be easy to update for our staff, and fun to use for our customers. Kathy designed an elegantly functional site that fulfilled those needs. But more, she was approachable, patient with our questions and responsive to our needs. It could not have been a better experience. Oh--and most importantly, we started getting orders almost immediately! MightyMerchant gets my highest recommendation for terrific results and positively stellar customer service. I get great value for the price! I was just telling my best friend wonderful things about MightyMerchant's quick service. And I am always happy to pay the monthly fee; I get great value for the price! Although we are only newly online our website has developed into a main asset to our business. From emails to online orders the communication through our website is growing very fast. More and more often the web presence is our face to customers and potential customers. MightyMerchant has done such a solid job with constructing a website which I can modify as I need that I wish the rest of the business could run as smoothly. The increase in business from my web site speaks for itself. From initial conceptual work to the actual implementation and construction of my web site, MightyMerchant's expertise and professionalism is noteworthy. In particular, my ability to manage the ever changing content of my site, facilitated by the MightyMerchant program, is extremely valuable; very powerful. The increase in business from my web site speaks for itself. We get orders every day from the web site and confidently refer potential customers to it, knowing they will have a great informational tool at their disposal. Our website was reasonably priced, and was finished faster than we had hoped. MightyMerchant has also added several special requests that we have requested. We definitely recommend MightyMerchant. ...MightyMerchant has met and exceeded all of our expectations. Coming from Monster Commerce, we were looking for a company that offered more personal attention, the ability to offer our site a fresher look with easy navigation and a simple check out process. MightyMerchant has met and exceeded all of our expectations. Thanks to Michael, Kathy, Staci, and Jeanie for all your hard work and continued support. They put their hearts into their work and it comes through in their product! The folks at MightyMerchant are accommodating and accessible. They put their hearts into their work and it comes through in their product! I love them, and my web site. Our experience with MightyMerchant has been outstanding. Every person we have dealt with has been very nice and helpful and the site design is beautiful. The Site Manager provides us with the ability to add and delete products, text, and information on the website without the need to know html and without the possibility of ruining the site design in the process. We highly recommend your services to anyone who needs an ecommerce site and look forward to working with you on our next project. ...they answered my questions in a way that I could understand. I am happy to say working with the people at MightyMerchant was a pleasure. They were kind, considerate and very efficient in working with me. They didn't make me feel like an 'idiot' for not knowing what was going on. Instead they answered my questions in a way that I could understand. I would highly recommend their work to others seeking help with a Website.